A sizable adventure with a nostalgic feel and modern presentation that will make JRPG purists very happy. Ah, for the good old days of gaming! That’s not actually something I’d ever say. The “good old days” had plenty of problems of their own combined with worse localization practices and a much smaller selection of games in general. Still, there’s something to be said for classic gameplay, the sort we see in Dragon Quest XI: Echoes of an Elusive Age. It’s an old-school adventure with a new-school presentation, something like video game comfort food, and it nails that nostalgic feel like few modern games can. As for how Dragon Quest XI plays? Well…it’s Dragon Quest! You’ve got your turn-based combat, your classic monsters and your goofy accents that couldn’t be more different than Final Fantasy if they tried (and yes, they’ve tried). Dragon Quest remains the gold standard for Japanese RPGs, but by the same tack you probably shouldn’t come in expecting much in the way of innovation. Dragon Quest XI is all about nailing the fundamentals, and that means the odd grind here and there, skill trees to dig through and, of course, tons of sidequests. Tons and tons of sidequests. Combat’s the focus here so far as gameplay is concerned, but there’s not a lot to say about the combat here that hasn’t been said about turn-based battles dozens of times before. Pick options out of menus to defeat foes and make sure to remember to heal from time to time and chances are you’re golden. While you can move your characters around manually in battle instead of just having them stand in line and wait, that doesn’t seem to do much of anything so it’s more of a cosmetic choice. You can allow your party members to act on their own as well a la the original release of Persona 3, but that seems to be more of a convenience that makes grinding go by a bit faster. Really, this is just classic Dragon Quest combat updated for the modern era, and there’s nothing wrong with that. As for presentation, well, just look at those screenshots! That’s what Dragon Quest XI actually looks like when you’re playing through its enormous world: beautiful! In particular, I was especially fond of the PC version, which is a solid port that can be made to sing if you’ve got the hardware for it. As mentioned previously, Dragon Quest’s “endearing” set of goofy accents are all present and accounted for, so if that’s a problem then don’t expect it to change much here. Personally, I find the whole shebang kind of adorable in a goofy way, which appears to be the intended take. At over 50 hours, there’s certainly enough to do in Dragon Quest XI: Echoes of an Elusive Age if you’re into the classic JRPG style. As is often the case, that’s really what I like to boil this review down to: if you enjoy this style of game, there’s enough of it here to satisfy for the price you’re being asked to pay, but it’s not going to change your mind otherwise. 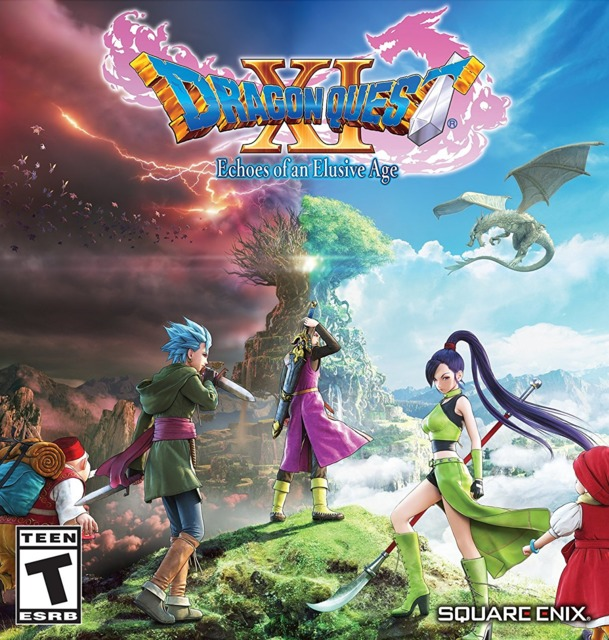 With that said, Dragon Quest XI is a great JRPG that represents some of the best of what the genre has to offer.